Live wedding music make a memorable event even more special, and our Lancashire wedding bands always get the party started! Function Central specialises in acts who can create a spontaneous and exciting atmosphere at any venue, from back rooms in restaurants and bars to clubs, pubs and marquees, even on a tight budget. Whatever wedding entertainment in Lancashire you're after, we only use the most professional and reliable musicians. We have some of the most sought-after bands for hire in Lancashire. Our extensive collection of rock, pop, soul and Motown wedding bands will create a show to remember as well as play your favourite songs. Alternatively, for Lancashire wedding music which doesn't break the bank, how about a solo singer accompanied by either backing track, guitar or piano, or an acoustic duo? Our Lancashire wedding party bands have played at venues throughout the county, such as West Tower, Leighton Hall and The White Hart Inn. And we've sent wedding bands to every nook and cranny of the county, including Blackpool, Blackburn, Preston, Burnley, Bamber Bridge, Lancaster, Lytham St Anne's, Leyland, Chorley, Fulwood, Accrington, Skelmersdale, Morecambe, Nelson, Darwen, Fleetwood, Ormskirk, Rawtenstall, Thornton, Colne, Poulton-le-Fylde, Haslingden, Heysham, Clitheroe, Bacup and Kirkham. Our Lancashire bands tend to specialise in mainstream, uptempo pop music by artists as varied as The Beatles, Stevie Wonder, The Killers and Bruno Mars. But we also offer more eclectic choices such as klezmer, dhol, salsa, swing, jive and bebop. If you're after musicians for your ceremony, check out our wedding string quartets or harpists. Our Lancashire jazz bands are ideal for keeping guests entertained whilst guests mingle, or to help break the ice at dinner. This lively covers band are as comfortable playing student events as they are wedding receptions, and draw on a varied repertoire of 60s-00s floor-fillers. DJ service available. 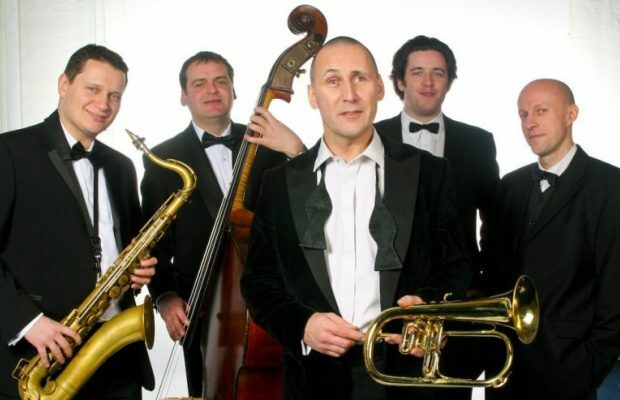 Popular, energetic 5 or 6-piece wedding band featuring male vocals and first rate musicians. Afternoon acoustic jazz & swing sets and DJ service available. 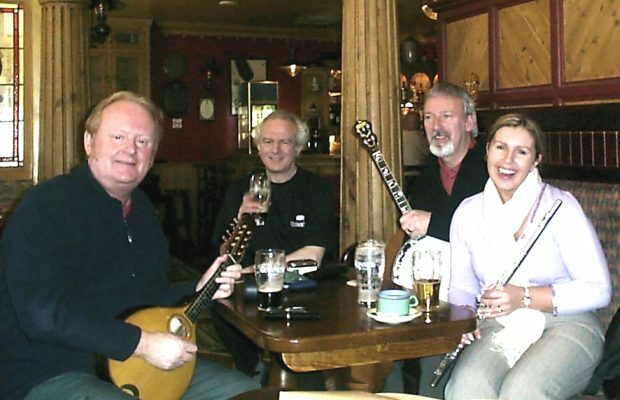 Experienced Ceilidh band playing traditional English, Scottish and Irish music for dancing. Caller also available. World-class, male-fronted premium 5-piece band in high demand across the UK. The band have a repertoire covering everything from 60s favourites to the latest hits and include sax in their line-up. Afternoon acoustic sets, extra musicians and DJ service available. 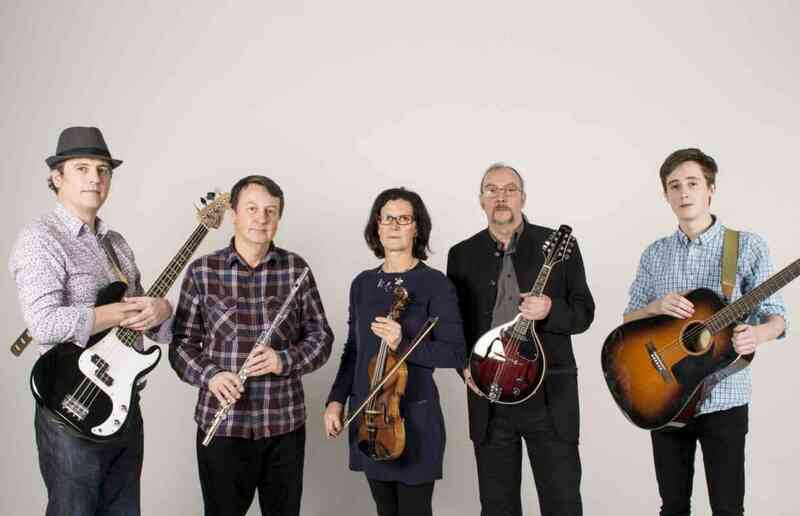 Traditional Irish, folk and celtic band from the North West, performing an eclectic and lively range of traditional and contemporary Irish folk music, as well as rock’n’roll and country. Also available as a 5-piece with caller. Phenomenally popular North West wedding and function band, featuring outstanding male vocals, guitar synth and a large set list of danceable rock, soul, reggae and pop music, from The Beatles to The Weeknd. DJ service, trumpet, sax and female vocalist available. Jazz with a glint in it's eye! All star band of virtuoso swingers performing the hits and popular music of the 1940s, for your dancing, listening and party fun! Highly-experienced and energetic female-fronted wedding party band, playing everything from Motown classics to modern R&B and pop chartbusters. Acoustic duo or quartet sets available. Fresh, exciting and unique vintage band playing music from the 50s and 60s as well as modern songs in a vintage style. Acoustic "unplugged" band, 4-piece option and acoustic trio available. DJ service included free with every booking. Lively female-fronted wedding function band with a huge repertoire of party classics and appearances at Glastonbury and Edinburgh festival to their name. Optional extras include sax or acoustic background sets for drinks or dinner.